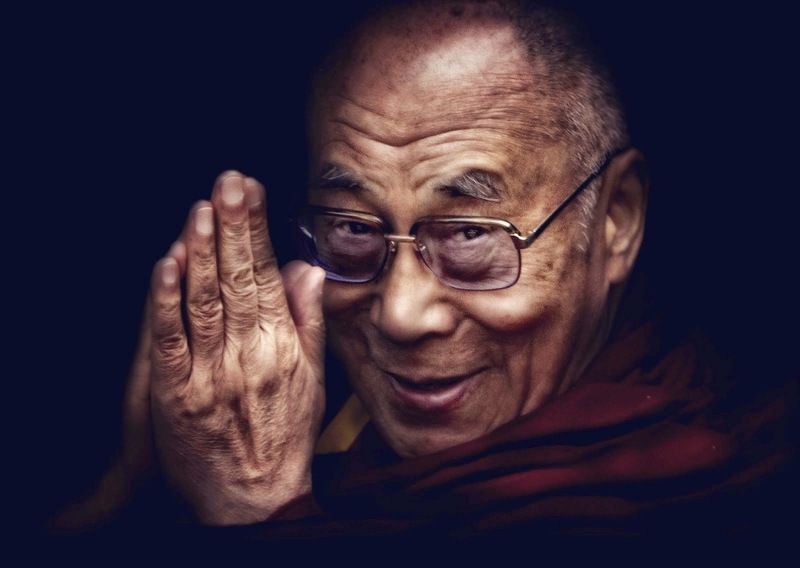 The current incarnation of the Dalai Lama, Tenzin Gyatso, was born in 1935 and recognized as the 14th incarnation of the Dalai lama at the age of 2. In 1959, the Dalai Lama fled his home of Tibet after the Chinese put down an uprising in Tibet and attempted to assassinate him. He continues on in exile to this day. The Dalai Lama has captivated people of all faiths from around the world with his message of joy, of peace, and of happiness. His Tibetan Buddhist teachings focus in on how to live a happy life, free of negativity. Many people look to him as a source of inspiration in what appear to be terribly turbulent times. These are the 18 rules for living a happy life from Tenzin Gyatso, the 14th Dalai Lama. 1. Take into account that great love and great achievements involve great risk. 2. When you lose, don’t lose the lesson. 3. Follow the three Rs: 1. Respect for self 2. Respect for others 3. Responsibility for all your actions. 4. Remember that not getting what you want is sometimes a wonderful stroke of luck. 5. Learn the rules so you know how to break them properly. 6. Don’t let a little dispute injure a great friendship. 7. When you realize you’ve made a mistake, take immediate steps to correct it. 8. Spend some time alone every day. 9. Open your arms to change, but don’t let go of your values. 10. Remember that silence is sometimes the best answer. 11. Live a good, honourable life. Then when you get older and think back, you’ll be able to enjoy it a second time. 12. A loving atmosphere in your home is the foundation for your life. 13. In disagreements with loved ones, deal only with the current situation. Don’t bring up the past. 14. Share your knowledge. It’s a way to achieve immortality. 15. Be gentle with the earth. 16. Once a year, go someplace you’ve never been before. 17. Remember that the best relationship is one in which your love for each other exceeds your need for each other. 18. Judge your success by what you had to give up in order to get it.